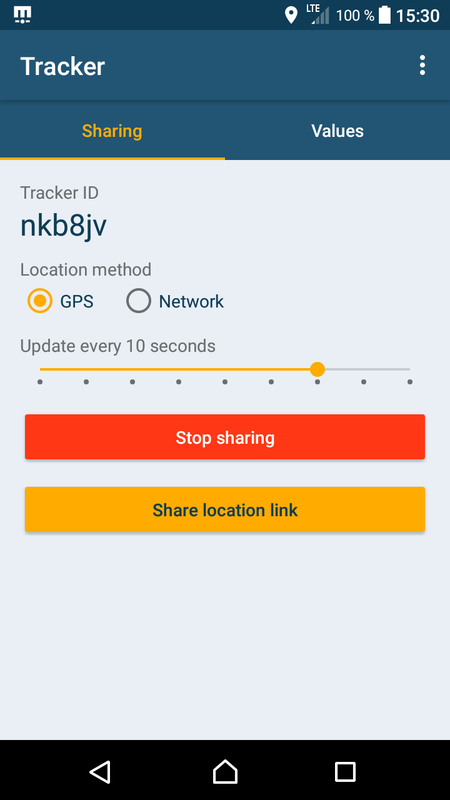 The Mapflare Tracker allows you to easily share your current location continuously with anyone. It is free, anonymous and no registration is necessary. The receiver only needs a web browser for viewing your position. 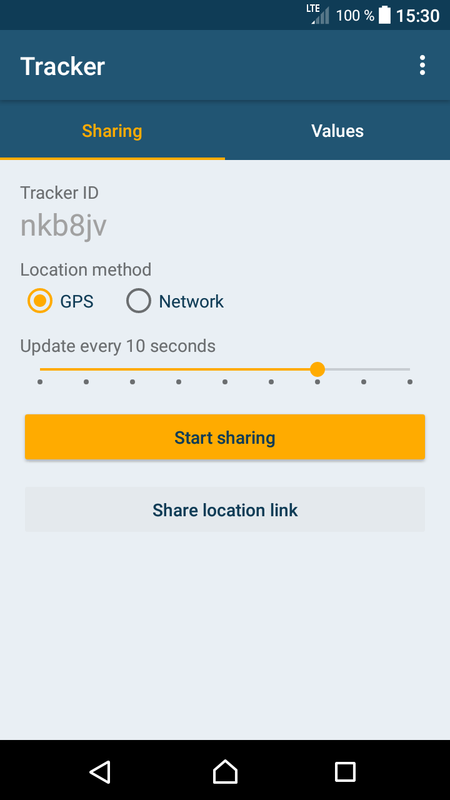 If you want to share your location with others, you get a random Tracker ID assigned (for example, q1xcAw). 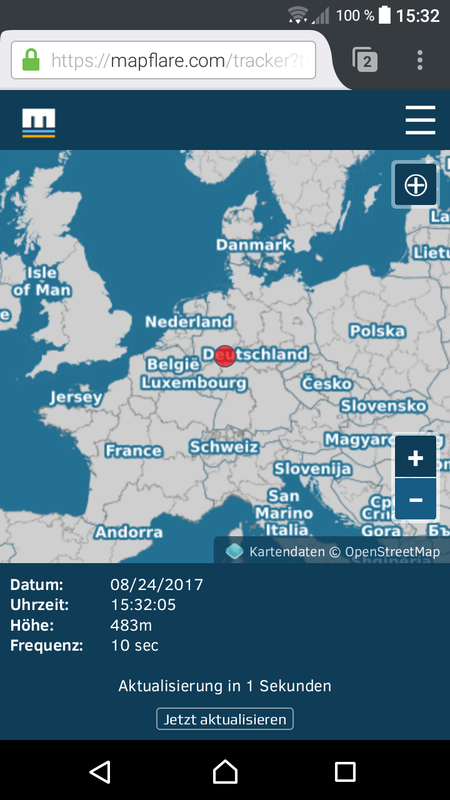 You can share this ID via sms, mail or any other communication channel you prefer to those persons who should be able to see your current position on a live map. The Recipients open the link sent by you in a web browser and then can track your current location on a map. The current position can be determined by the tracker either by GPS (exact) or battery-saving with the google location service (less accurate). The determined location is then transmitted in a selectable interval (10 minutes to 5 seconds) to the Mapflare server and made available through this to the receivers.